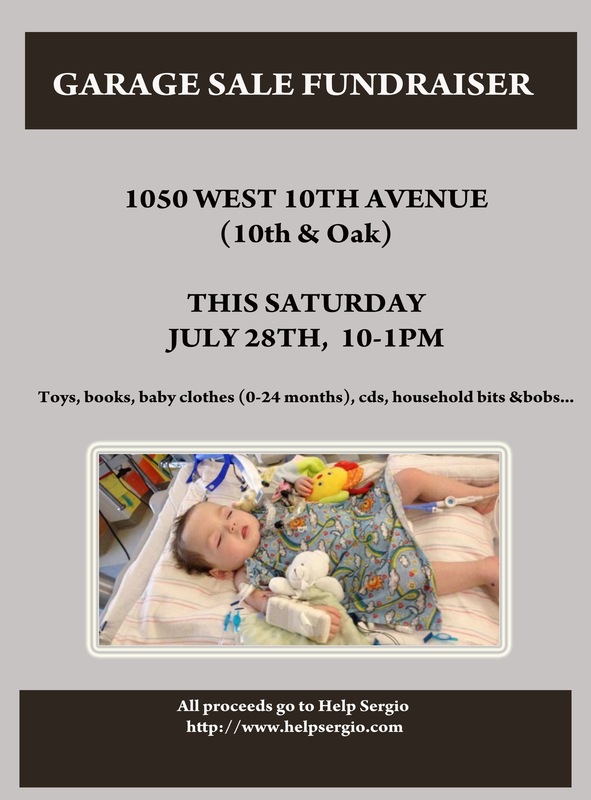 See below for details about each of these past and future events. 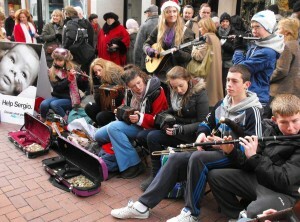 We would like to sincerely thank all the young Dublin musicians who gave of their time on Christmas Eve to busk on Grafton Street on behalf of Sergio. They played and danced all day from 8 in the morning to 11.30 that evening generating a great athmosphere with such enthusiasm and in the process raising over 3000 euros for Sergio’s fund. 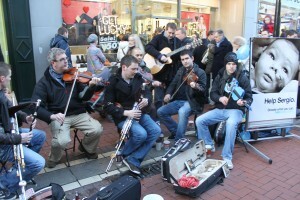 We are very grateful for their effort and giving of their time and music. 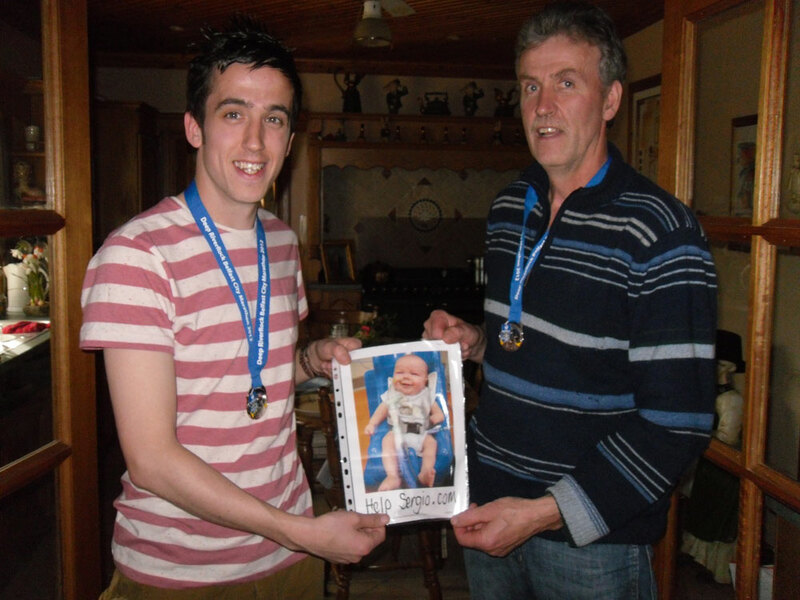 Sponsored walk in aid of Sergio O’Connor organised by Brendan and Inagh Sheridan who are going to Spain to partake in the St James of Compostela Walk, often referred to as ‘El Camino’ on the 15 September. Anyone interested in supporting this by sponsorship or donation should ring (01- 8394115). 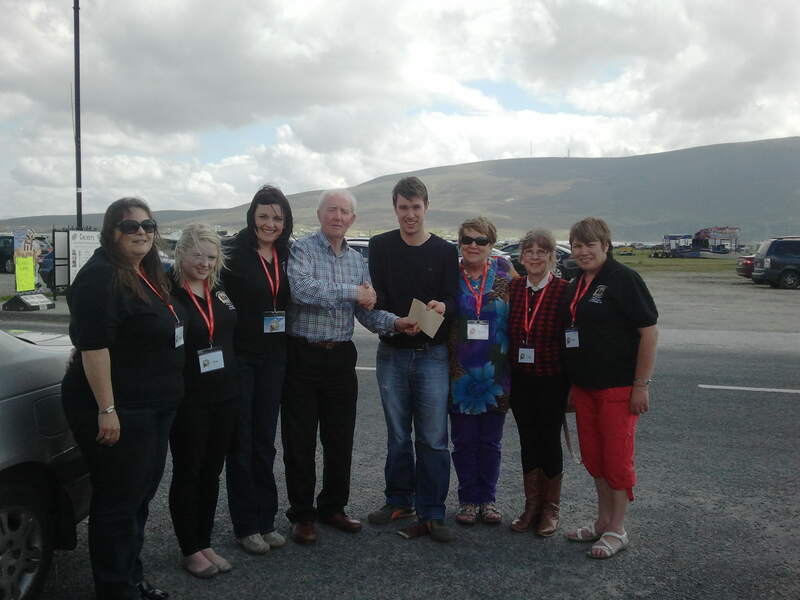 Brendan and Inagh are members of the John Murray Walking Club and regularly travel to participate in walks around Ireland. 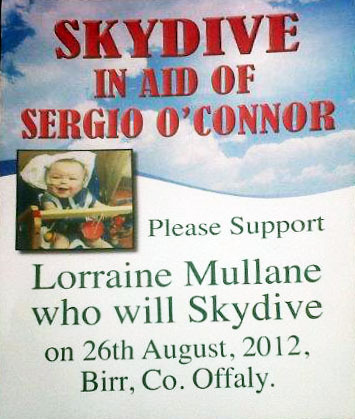 The Skydive in aid of Sergio O’Connor was organised by Lorraine Mullane from Ennistymon. 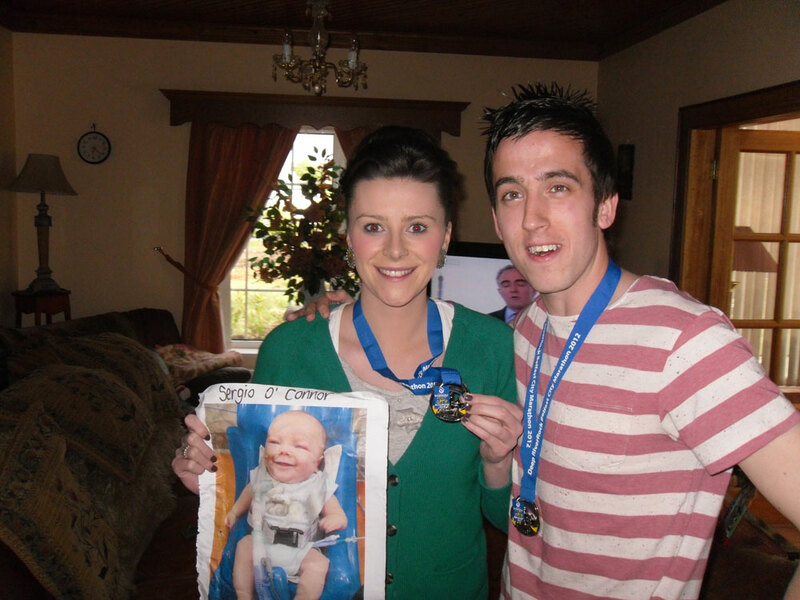 A bus load of supporters came up from Co Clare for the occasion. 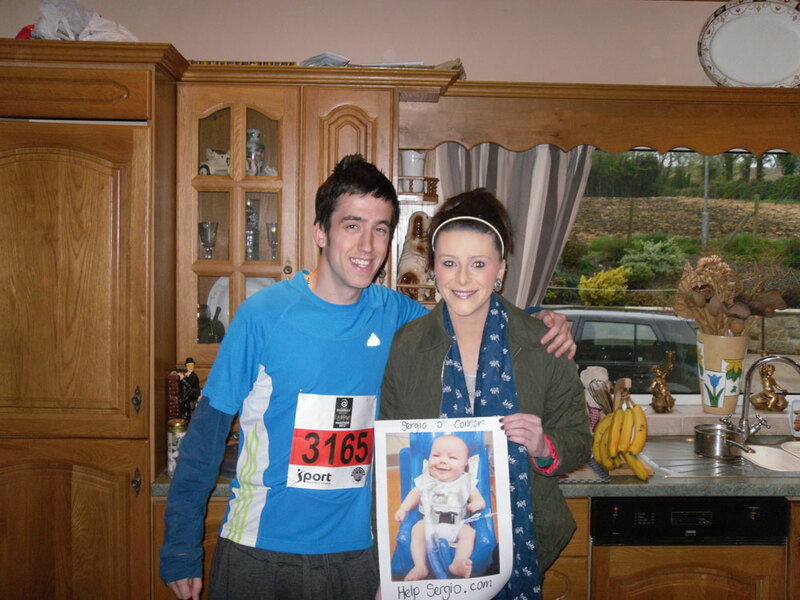 The Mullane family have previously organised many various fundraising events in County Clare for the Help Sergio campaign. 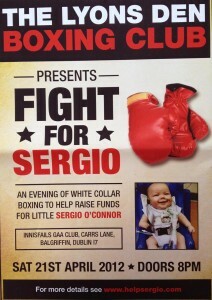 Holding a night for all in Griffins, Saturday August 11th to raise money for Sergio O’Connor. From 10 p.m that night waxing and head shaving for all the men will be held! 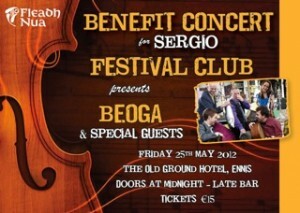 All donations will be greatly appreciated on the night. Many thanks to Martin Russell, Emmet and Ray Lawlor who organised a five-a side-soccer tournament, family fun day and a session in Lusk, Co. Dublin. 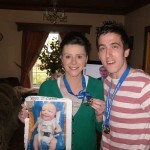 Sergio’s aunt, Aoife Fyans was presented with a cheque for €1200. 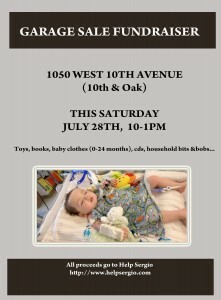 Many thanks to Ita Kane and her friend Tara who held a Garage Sale in Vancouver. 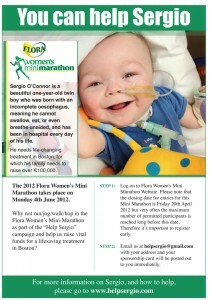 Please come in and enjoy a cuppa, a chat and a chance to win in our raffle whilst supporting this very worthy cause! 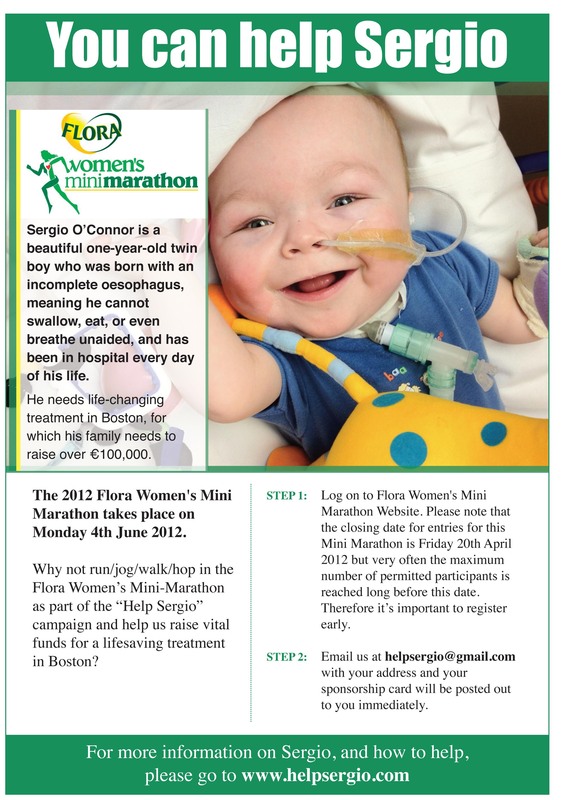 Sergio O’Connor was born with an incomplete oesophagus. 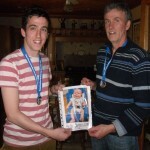 He is currently in Boston with his father, Donal, where he is undergoing life changing surgery. 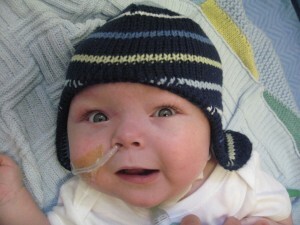 Sergio is doing extraordinarily well and doctors are very pleased with his progress. 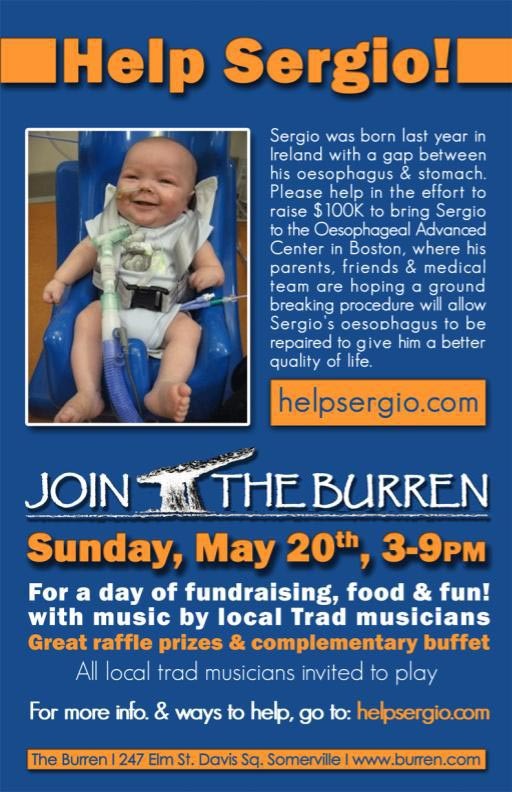 However, costs for Sergio’s family continue to mount and they need all the support we can muster to help them through this difficult time and set Sergio on the road to full recovery. Entry €35, rebuys at €10. 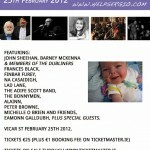 Places are limited, and booking is essential. 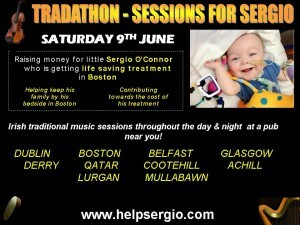 You can book your place/table through this website, at facebook.com/helpsergio, by emailing pokerforsergio@gmail.com, or by calling 0879219661. 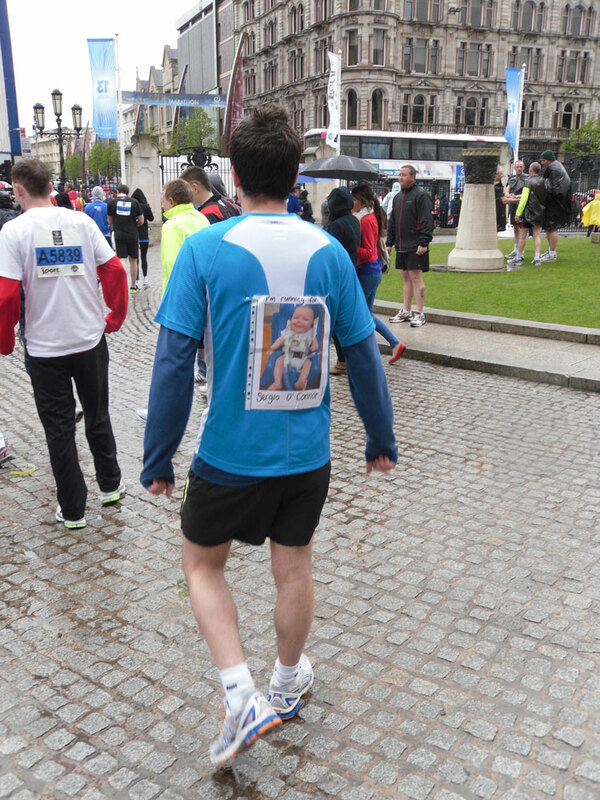 Bookings must be in by May 18th. 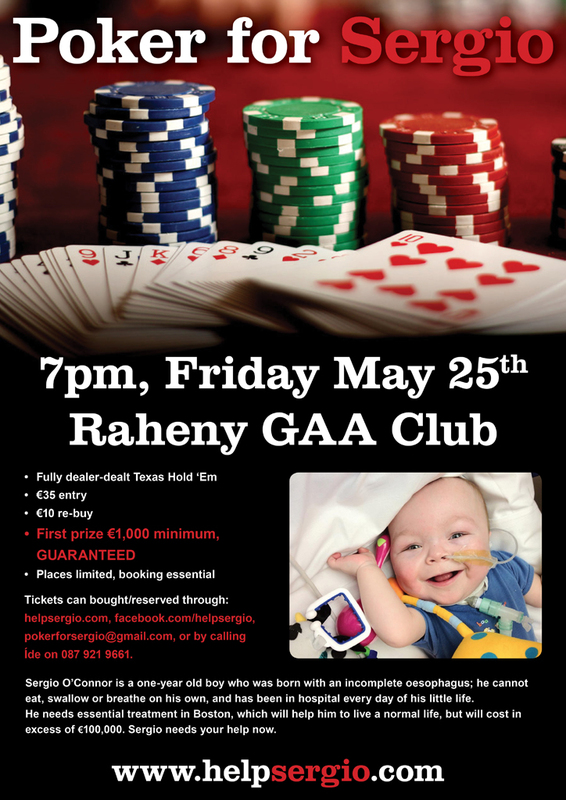 This will be a great night out, with a chance to win big, and all for such a deserving cause. 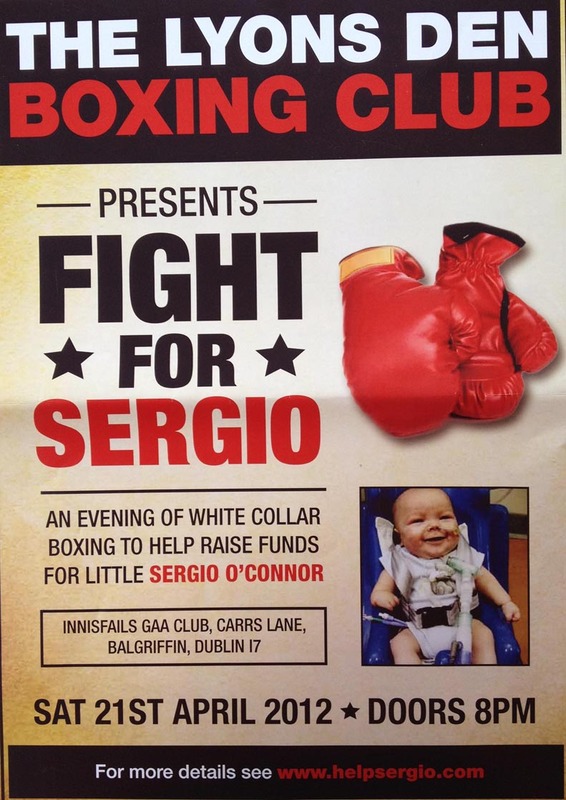 Sergio needs your help, and you need an excuse for a night out – book a table NOW for your friends/workmates/sports club, etc, to avoid disappointment! The Fleadh Nua ran a Festival Club where all proceeds went to Baby Sergio O’Connor in the Old Ground Hotel, Ennis, Co. Clare. 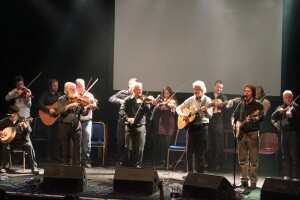 The Festival Club ran on both nights. A massive thank you to all that attended these benefit nights, to the organising committee and also to the brilliant musicians who performed amazingly on the nights. 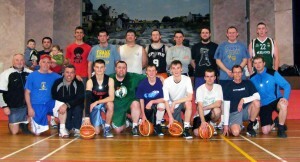 After six weeks of preparation, our brave fighters are ready for action tonight!! 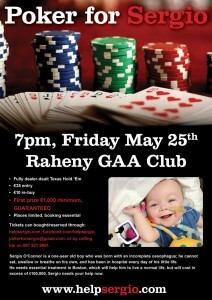 7.30pm in the Crowne Plaza is ‘kick off’ time for a night to remember!! We are truly grateful to the many businesses who have contributed so generously to the charity fund, raffle and auction! 3. 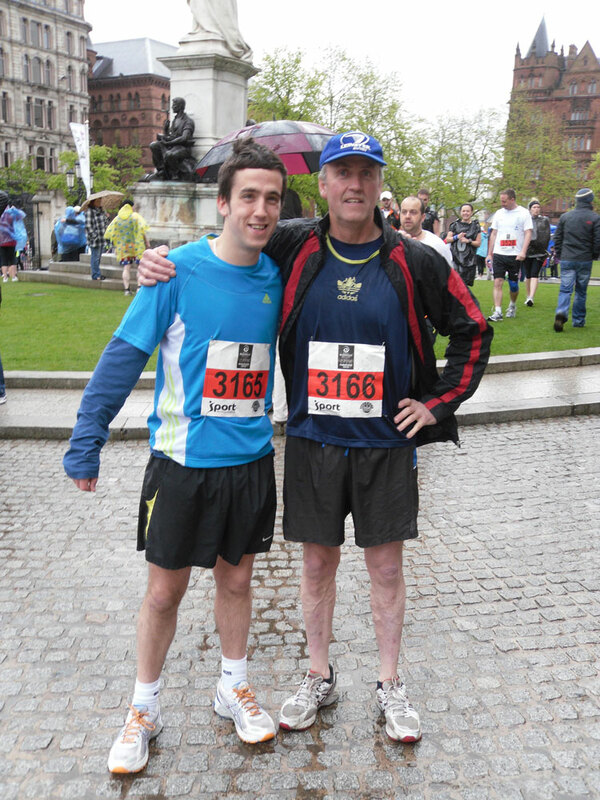 Jim Maguire V Barry McGuirk. 15. 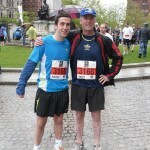 Ian Whittington V Mark Hamilton! 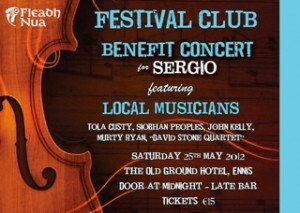 Good luck to all involved tonight! 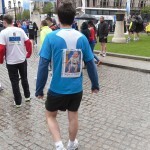 Enjoy what is set to be the most exciting event on 2012′s Calendar pages!! 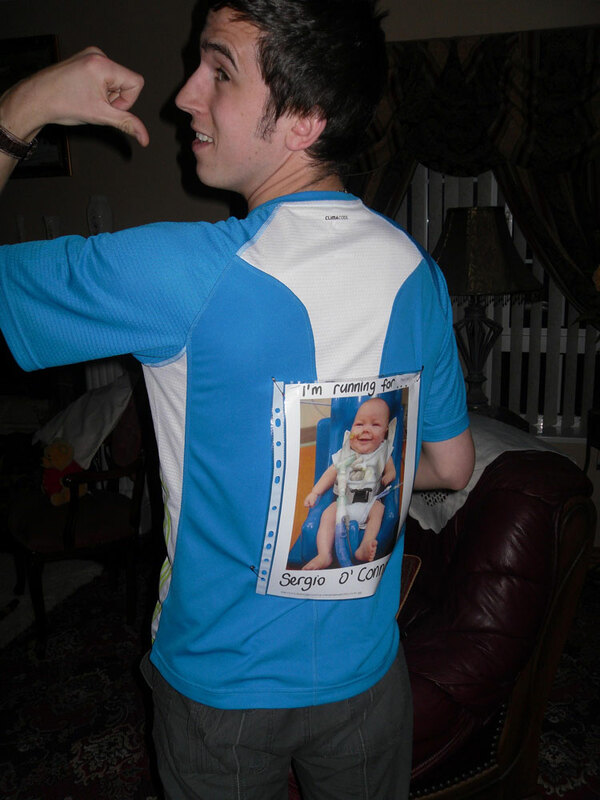 Paul Conlan ran the Belfast City Marathon last Monday 7th May for Sergio in 3 hours 46 mins!! 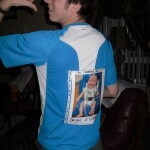 Incredible!! 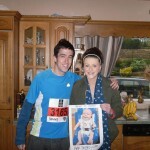 Thank you so much Paul!! 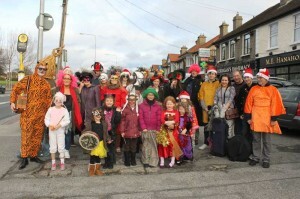 Events in DkIT kicked off on Monday, as students took part in various “tradathons” throughout the campus. 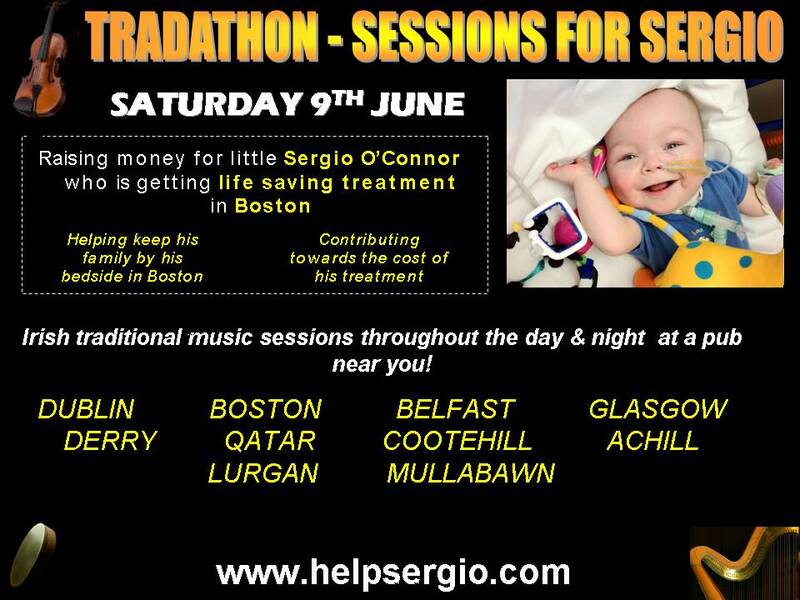 The money raised from the traditional Irish music sessions was put towards “HelpSergio”, a charity set up in aid of Dublin-born Sergio O’ Connor, who was born with an incomplete oesophagus. 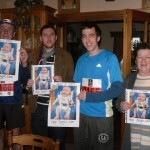 Over €750 was raised for contribution to the cause. 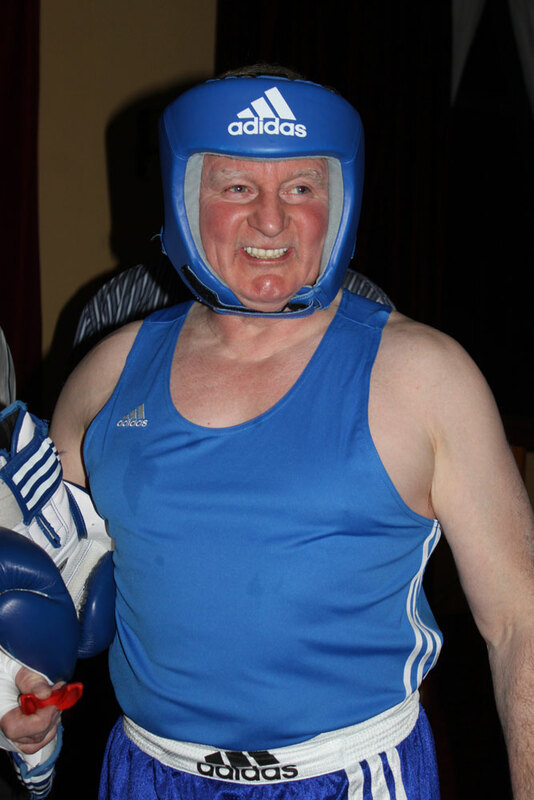 Sergio O’Connor’s family would like to thank Willie Lyons and his family; Barry Brian and Neill for organising a super night of ‘White Collar Boxing’ in Innis Fail’s GAA Club on the 21 April. 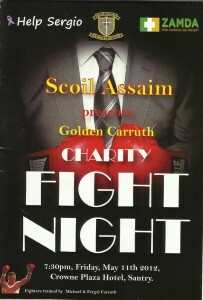 There was a great atmosphere and the boxing was tremendously exciting. The boxers spent months preparing and it showed in the ring; they were fit as fiddles. 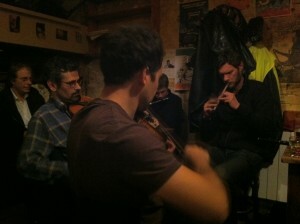 Musicians Tomás Ó Broin and Cormac Chambers gave it their all. 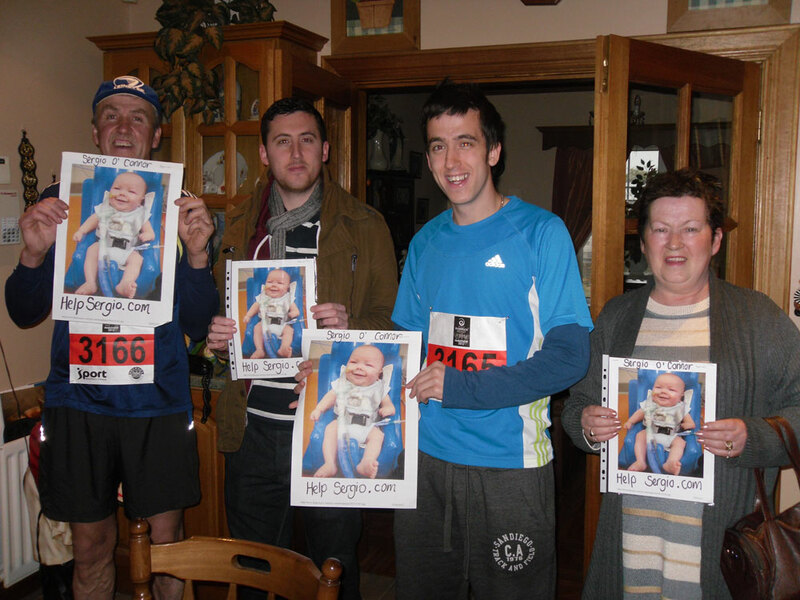 Members of the Bonny Men showed their mettle when Barry Lyons and Adam Whelan gave an all mighty performance.Young Fiachra Potts in his first bout gave a good account of himself, cheered on by his family. 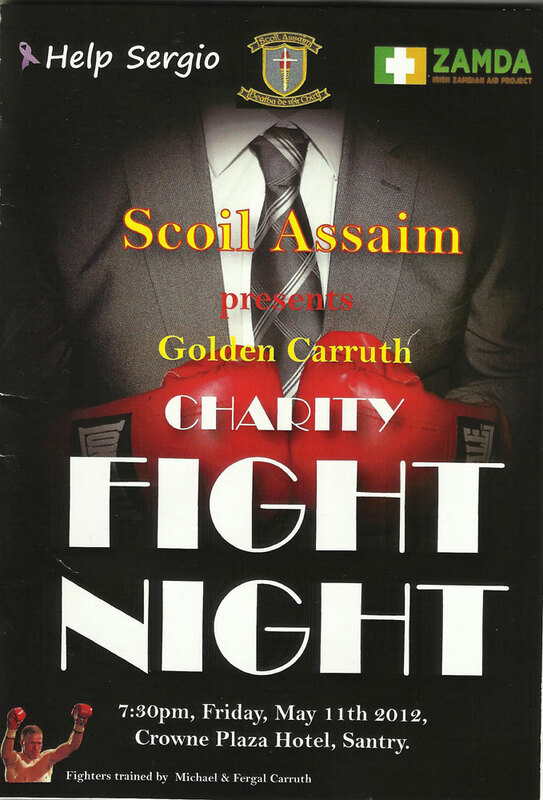 It was acknowledged by most people present that the female boxers excelled on the night and it was a very exciting bout. 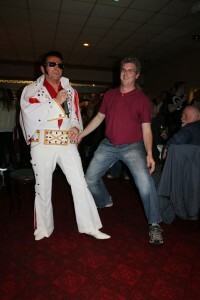 The MC Tony Canning did an excellent job as did the referee, Eddie. 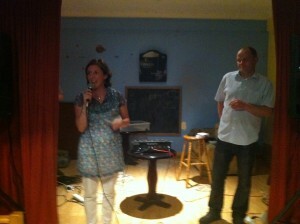 The night was rounded off with a raffle and supper. 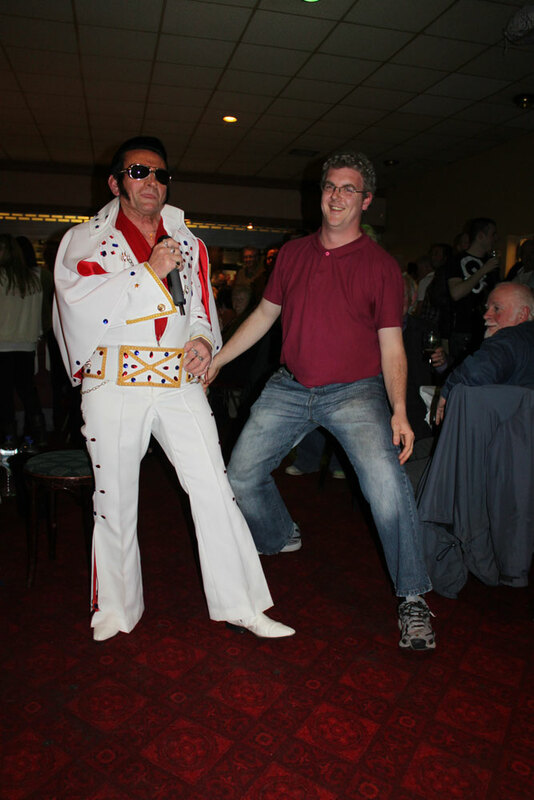 One of the highlights was the appearance of ‘Elvis’ during the night. 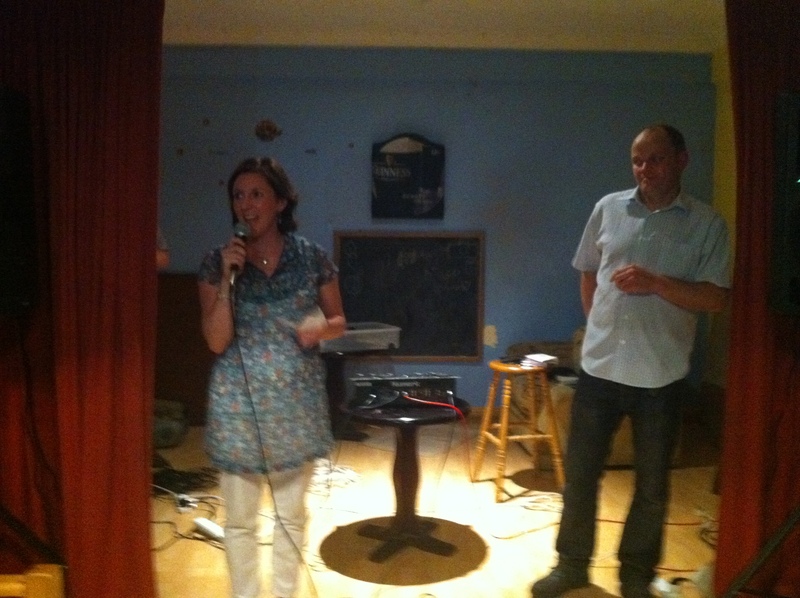 We would also like to thank all the other people who made the night such a success. 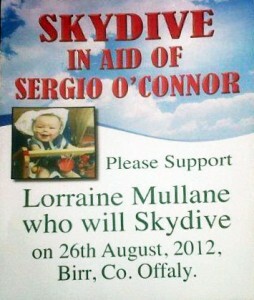 The Students’ Council of St. Nessan’s Community School are having a copper collection fund raiser for Sergio O’Connor. They are trying to collect as many coppers (1cent, 2cent and 5 cent coins) as possible. Hopefully before the summer exams we will have created a copper chain of around the entire school. So please if there are any coppers that are in jam jars, boxes or behind the couch that you are not using drop them in to PSN and help us help Sergio. The students also put on a amazing concert in the school canteen. Students, under the watchful eye of Mr. Coman, gave a Science Show. Bobby Gardiner and a host of singers and musicians:- Mr Jimmy Morrison and his music Group, step dancers, and adult set dancers. – ‘Eisteigi’, a group of six excellent singers. – ‘The Maestro’ Mr Bobby Gardiner. 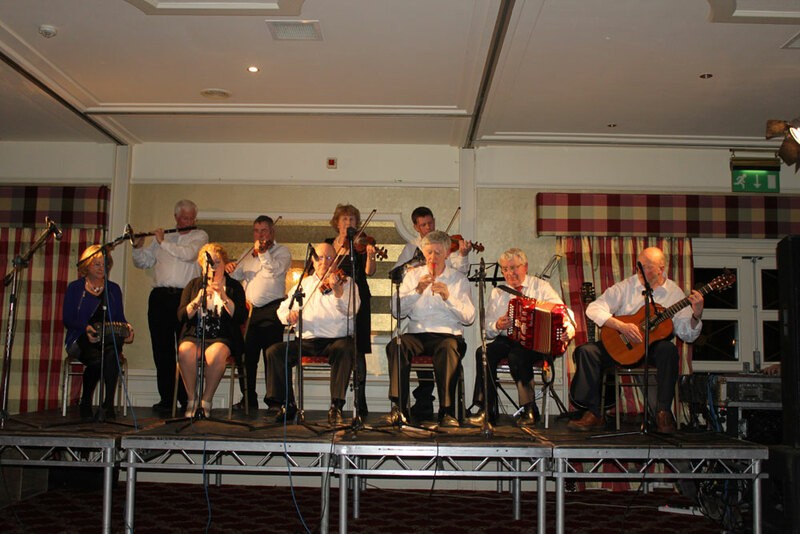 – Flute and accordian virtuosi, Mr Billy Clifford and Mr Tommy Kennedy. – Mr and Mrs Eoghan and Luca O’Sullivan, Accordian, Flute and Concertina. 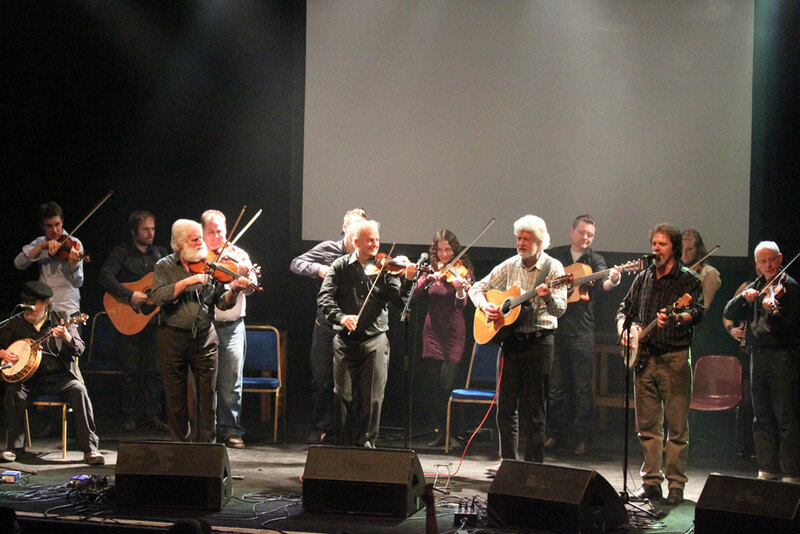 – ‘The CrossKeys’: our local house session musicians and singers Martin Power and friends. 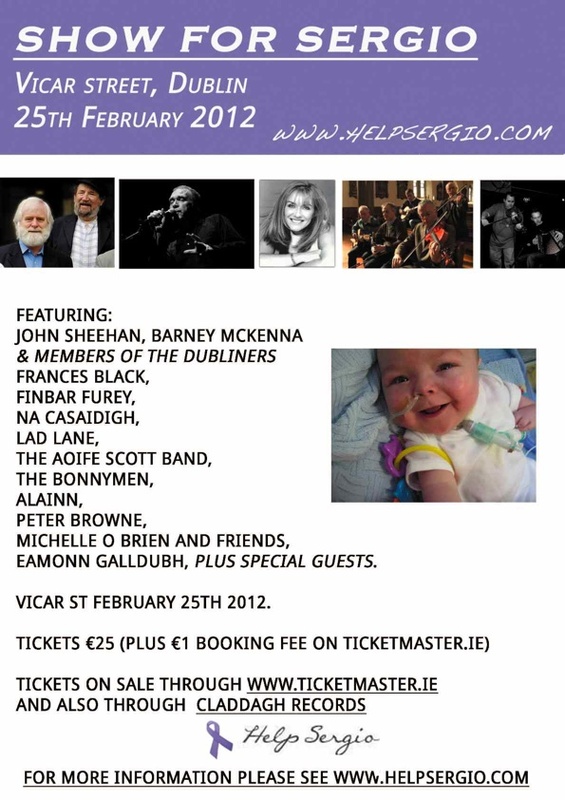 We had a star studded concert in Vicar Street on Saturday 25th February 2012 featuring an amazing lineup of musicians and singers. The night was a huge success by all accounts. 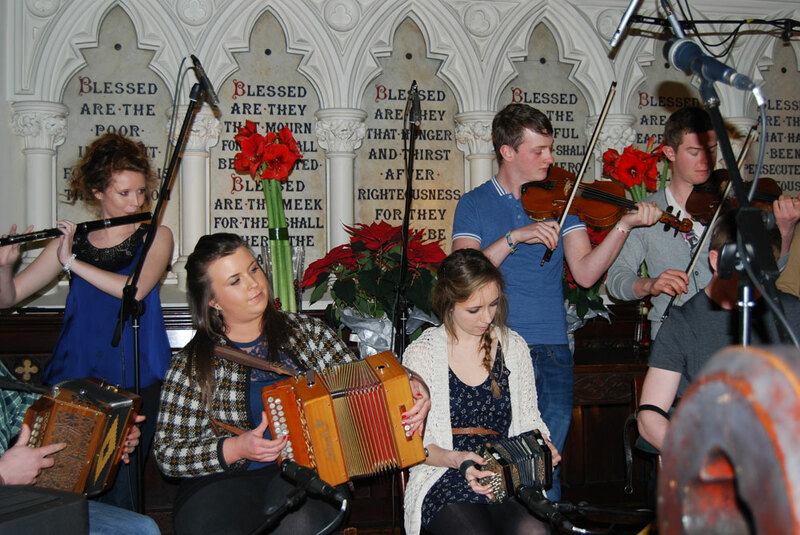 Joe Rynne and the committee of Ennistymon branch of Comhaltas Ceoltóirí Éireann organised a fundraising concert for baby Sergio O’Connor at the Teach Cheoil on Sunday 19th February. 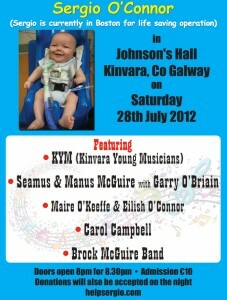 It was a spectacular success with a packed hall with attendance by young and old. 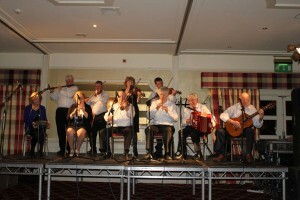 Musicians, dancers and singers came from all over the county to give a great performance. 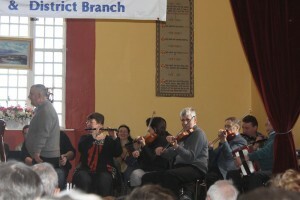 The O’Connor family was associated with Ennistymon CCÉ since its inception and was regular performers at the Teach Ceoil and other venues throughout County Clare. 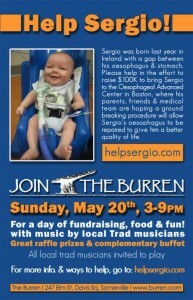 Many thanks again to all concerned in coming to the aid of baby Sergio, we are deeply appreciative and grateful.